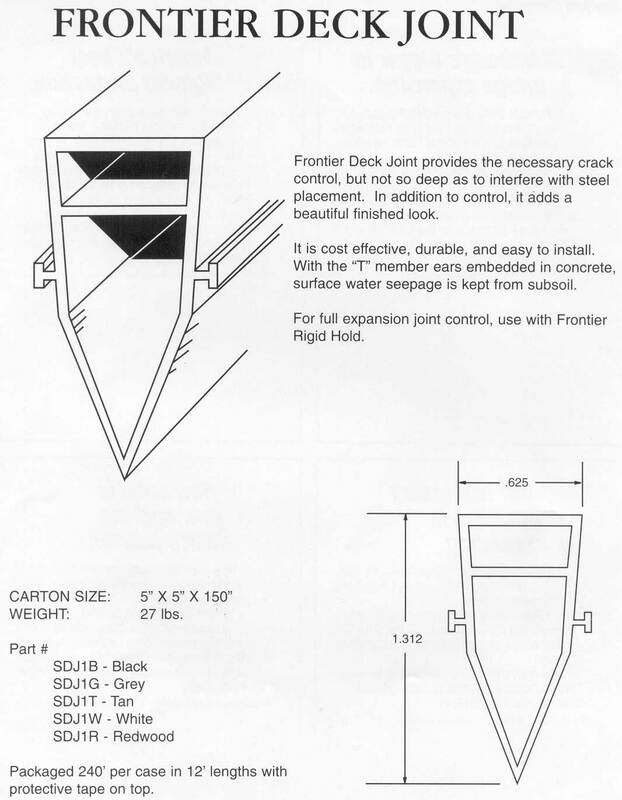 Description: Frontier Deck Joint provided the necessary crack control, but not so deep as to interfere with steel placement. In addition to controal, it adds a beautiful finished look. It is cost effective, durable, and easy to install. With the "T" member ears embedded in concrete, surface water seepage is kept from subsoil. For full expansion joint controal, use with Frontier Rigid Hold. Carton Size: 5" X 5" X 150"
Packaged 240' per case in 12' lengths with protective tape on top.